Genentech puts their creativity to the test! 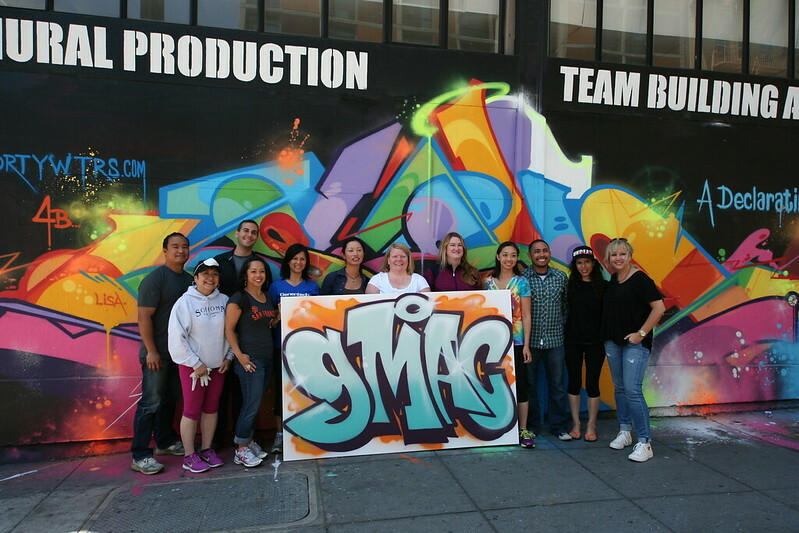 Home/Events, Graffiti Art, Mural Production, Team Building Workshops/Genentech puts their creativity to the test! A team from Genentech spent their morning with us at the gallery and made the most of their time here, tackling activity after activity with ease. 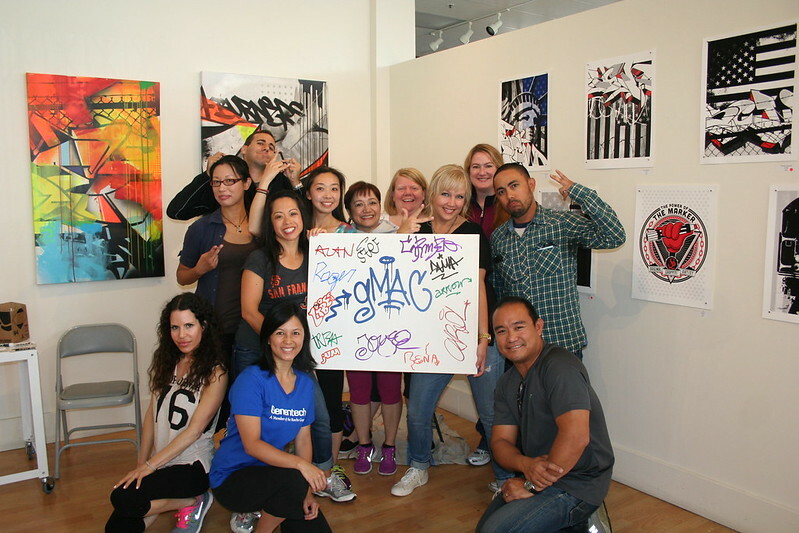 They ultimately painted their mural on a single canvas and selected the acronym “GMAC” to appear across their masterpiece! Shoot us an email at privateevents@1amsf.com to schedule your next team-building workshop!